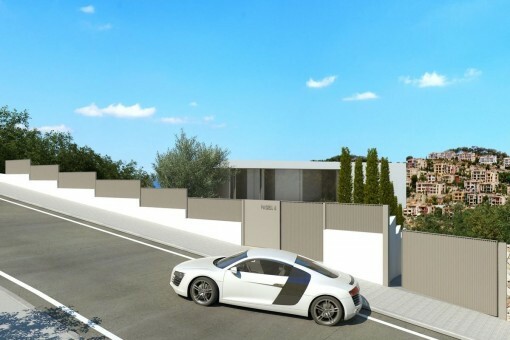 In the Spring of 2018 this new building project in Puerto de Andratx will be completed and ready for occupancy. 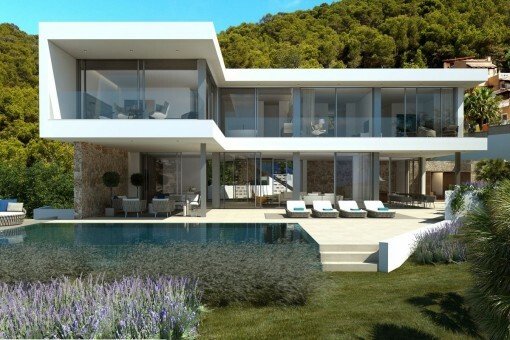 This modern sea-view villa in Port d' Andratx will be a mix of modern and Mediterranean styles where everything has been taken into consideration, from underfloor heating and intelligent house technology to solar panels. 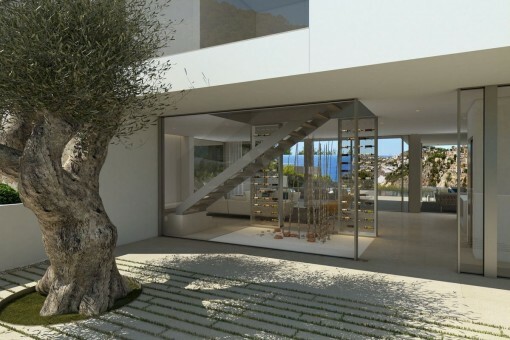 With its light-flooded foyer, designer kitchen, stylish salon and superb furnishing this wonderful villa will present a unique spatial experience of elegance and comfort. 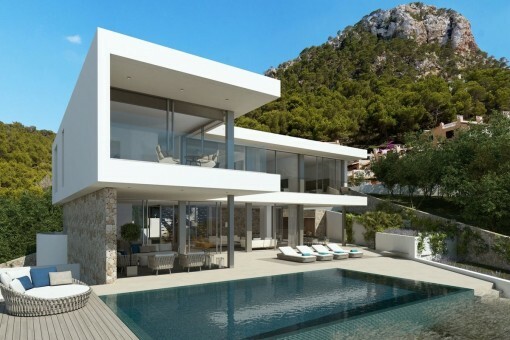 Enjoy the maritime flair of one of the most beautiful areas in Mallorca. 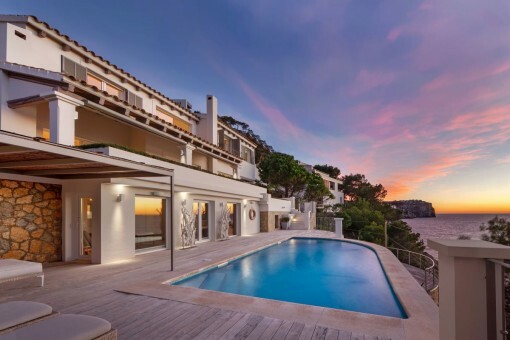 Puerto de Andratx is one of the best and most spectacular natural harbours of Majorca, surrounded by beautiful bays like Cala Llamp, Cala Moragues and Cala d’Egos. 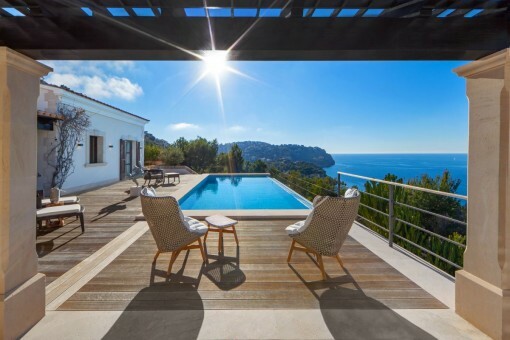 This modern location, with its exceptionally villas and complexes and few luxury hotels, has developed from an inconsiderable fishing village to one of the most important and exclusive touristic centres, thanks to the nautical activities. 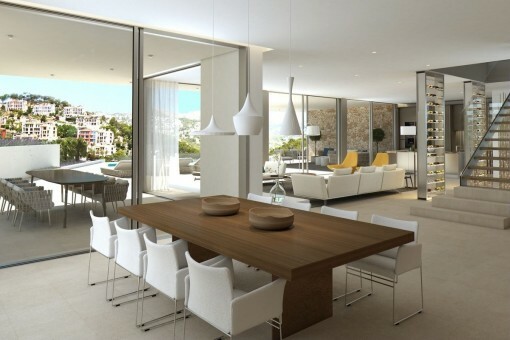 The marina Club de Vela with approx. 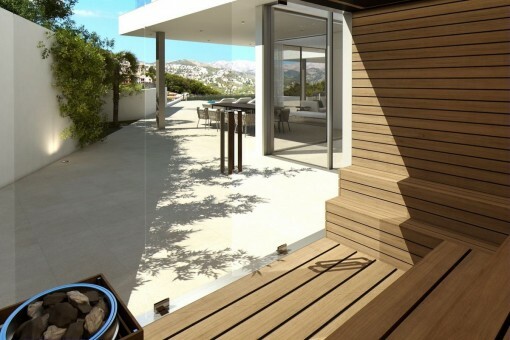 500 moorings is one of the best equipped on the Balearic Island. On the mole is the fish-trading building, where the daily and fresh catch of the fisherman can be bought. In the harbour do still exist some monuments of great historical and architectural interest, like Sant Carles on la Mola or the protective towers. Several interesting shops and exquisite restaurants with wonderful sea view terraces are situated on the water front to please their visitors. 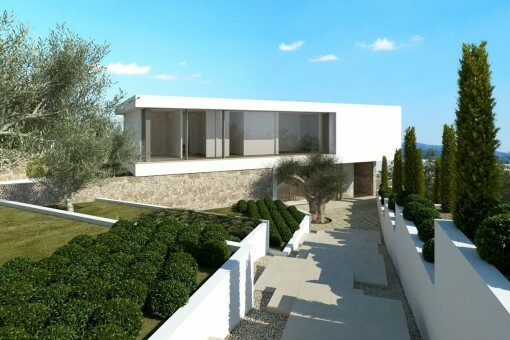 I'm interested in: Mondern newly built villa with sea views in Port Andratx (Objekt-Nr.110233). 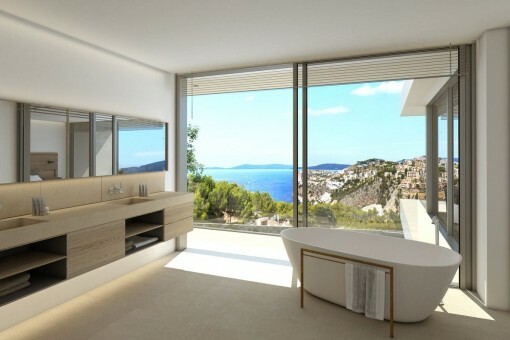 you are reading: Mondern newly built villa with sea views in Port Andratx-purchase · Porta Mallorquina Real Estate Rating 4,8/5 by 200 testimonials.